Adolescence is handled thoughtfully in this supernatural story; even its vampire-hunting lead learns that sensitivity matters. 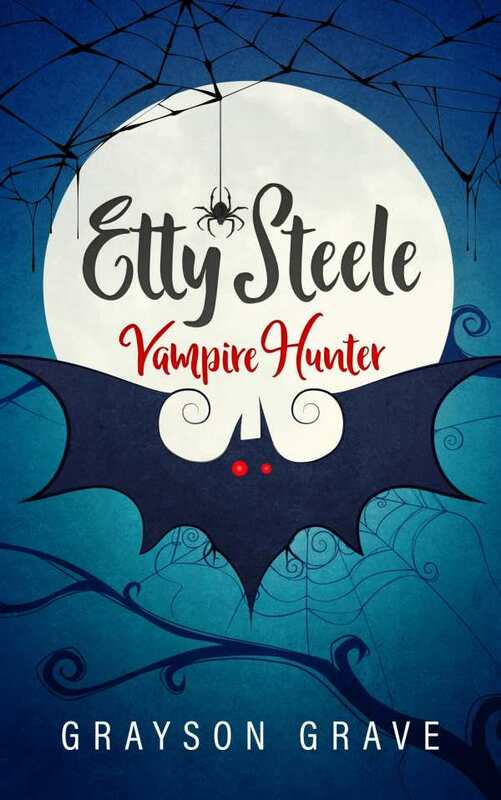 Vampires and witches take center stage in Grayson Grave’s exciting coming-of-age story, Etty Steele, Vampire Hunter. Etty Steele comes from a long line of professional vampire hunters, but while most of them were just as fast and strong as the vampires they chased, Etty is not. Moreover, her sympathy for the pain of others makes her a reluctant fighter. Even though her mother insists that she practice her vampire-hunting skills every day, Etty is beginning to wonder if her powers will ever come. But then Etty is faced with a real test. There are two mysterious murders, her mother is captured, and a classmate goes missing. Failure is no longer an option. Etty and her friends, with the help of some special charms, strive to overcome the evils they face. The book is skillful in its approaches to common adolescent issues like stereotyping. This is nowhere as relevant as when Etty and her best friend—a young witch, April—meet their new classmate, Dimi, who is a vampire. Brought up to think all vampires are evil, Etty is wary of befriending Dimi, and she is jealous when April does. Etty has to reconcile what she has been taught about vampires with Dimi’s nonthreatening behavior and obvious desire for friendship; the book is clear about how difficult and confusing such growth can be. Dialogue and inner reflections are helpful vehicles for tracing the children’s growth. They develop self-awareness and understandings of their own and each other’s true natures. Etty’s relationship with her mother is more ambiguous—Etty craves her mother’s approval; her mother keeps important information from her—adding tension to the tale, though it is unclear why her mother is so harsh with her. The text captures the emotions, psychological tensions, and feelings of confusion and insecurity that all children feel, and also conveys warmth and caring between its somewhat supernatural leads. Common subjects are sensitively handled, and the fantasy element is an entertaining plus. Action scenes balance with contemplative ones, and transitions are smooth from one scene to the next. Through her trials, Etty grows into self-acceptance, though she always wonders if her soft-heartedness is responsible for the dangers she and her friends have to face. Instead of full closure, Etty Steele, Vampire Hunter concludes with new dangers lurking and a cliffhanger ending that invites hope for a sequel.